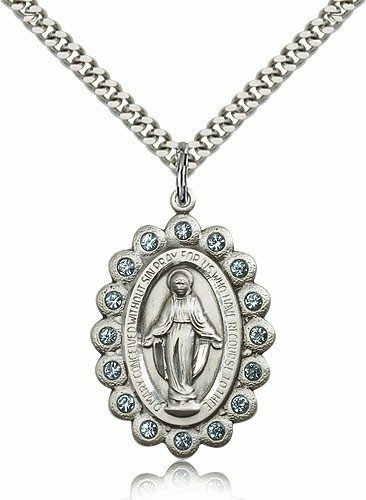 Why is Mary Important to Catholics? Home » Catholic Questions » Why is Mary Important to Catholics? Even a brief snippet of a Marian song gives the listener a sense of how much Catholics revere and are devoted to Mary, the Blessed Mother. Many non-Catholic denominations paint Our Lady as simply an unknowing young girl who carried our Lord in her womb as a vessel carries water, and after the Nativity of Jesus, her usefulness was complete. The Catholic understanding of the importance of Mary is so deep, rich, beautiful, and Biblically-based. Catholics are blessed to have a fullness of understanding of her role in salvation as well as a personal relationship with her. The lyrics of some of the most-loved Marian hymns shed light on why Mary is not only warmly loved and respected as a mother figure, but also why, theologically, Marian dogmas are sound and foundational to the Catholic Faith. When Our Blessed Mother appeared to Juan Diego in Mexico in the year 1531, during the throes of the Protestant Revolt, she introduced herself as "The Immaculate Conception". Mary, the future Mother of God, was conceived without the stain of original sin so that she would be worthy to carry within her and to raise the Son of God. In His infinite wisdom, The Almighty would not have chosen a sinful woman to carry and raise His Son, and so He deemed that her soul would be preserved from sin. Like Jesus, she knew temptation because she was human, but she did not possess the inclination to succumb to the allure of sin. This made her a fit Mother and example to our young Savior, as she raised Him with St. Joseph. When the angel Gabriel first greets Mary in the opening chapter of the Gospel of Luke, his greeting "Hail, favored one! The Lord is with you" (Luke 1:28), indicates that she because she was full of God's grace, there was no room for sin in her soul. In a fascinating modern twist, scientists have found that DNA from unborn babies migrates across the placenta during gestation and into the mother's body through nursing and takes up residence in the mother's blood and brain for the remainder of her life. The connection between the Immaculate Conception and Jesus deepens: the Blessed Mother retained in her pure body the actual DNA of her Son for her lifetime. That is astounding to consider! Mary, Queen of Saints, is the exemplar of virtue. Her very being is a living example of all the virtues we try to practice, though we often stumble. Humility, the cornerstone virtue for Christians, the virtue opposing the sin of pride, is magnificently embodied by the Blessed Mother. Throughout the Scriptures, she consistently put the will of God first and thought of herself last. She surrendered her will and her very life to His hands, without complaint and without bragging of her special place in Salvation History. She kept silent and pondered these things in her heart. "By her motherly love, she takes care of the brothers of her Son who are still in pilgrimage and in dangers and difficulties, until they be led through to the happy fatherland." "Whether or not we would have a mediator was dependent on Mary’s "yes." Had there been no "yes" from Mary, there would have been no mediator. Thus the graces that come through Jesus may be said to come to us, in a secondary way, via Mary—not as the origin of the graces, but as a conduit." ​"One should honor Mary as she herself wished and as she expressed it in the Magnificat. She praised God for his deeds. How then can we praise her? The true honor of Mary is the honor of God, the praise of God's grace . 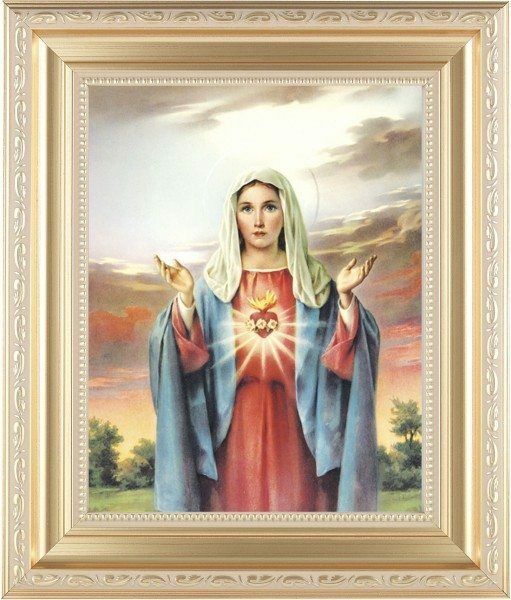 . . Mary is nothing for the sake of herself, but for the sake of Christ . . . Mary does not wish that we come to her, but through her to God"​ (Explanation of the Magnificat, 1521). As the Queen of Heaven, in eternal joy with her Son, no one is a more reliable and powerful intercessor on our behalf than Mary. Just as she first quietly interceded for the wedding hosts in Cana to save them the embarrassment of running out of wine, she quietly intercedes for us, if we so much as approach her and request it. 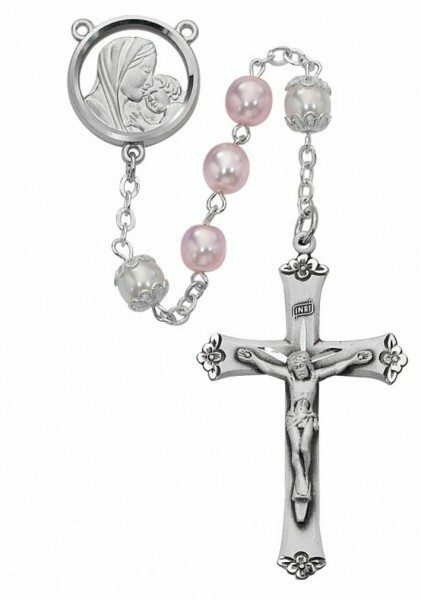 It is the reason Mary is the focus of so much Catholic jewelry - wearing her close brings you closer to Jesus. 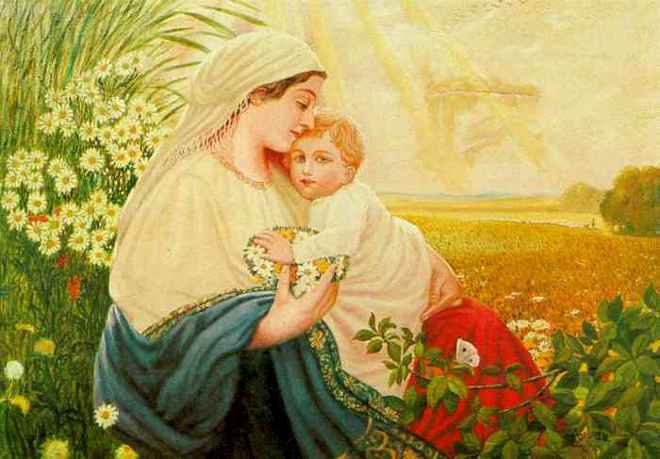 I loved Mother Mary and She will be my most loved mother in this world. Nothing compare.